Available in Full Tablecloth, Backless Tablecloth, and Stretch Tablecloth. 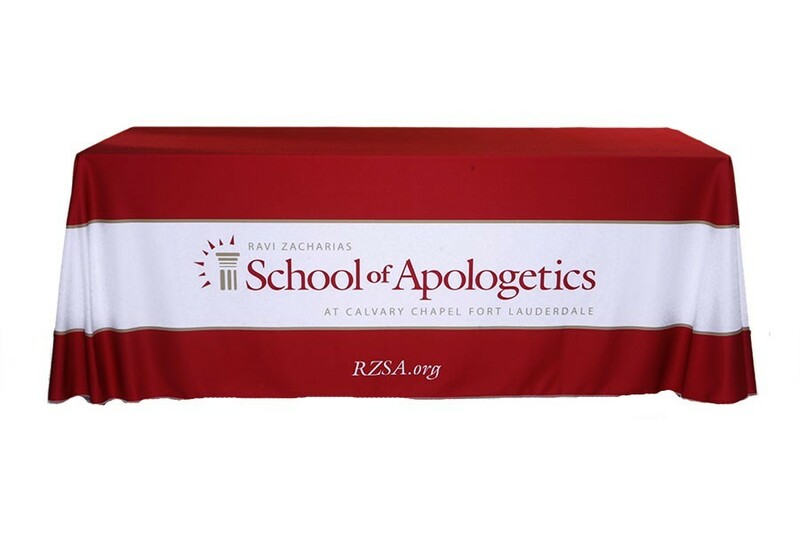 Our tablecloths are digitally printed and dye-sublimated onto a 8.2oz fabric that is 100% Polyester. 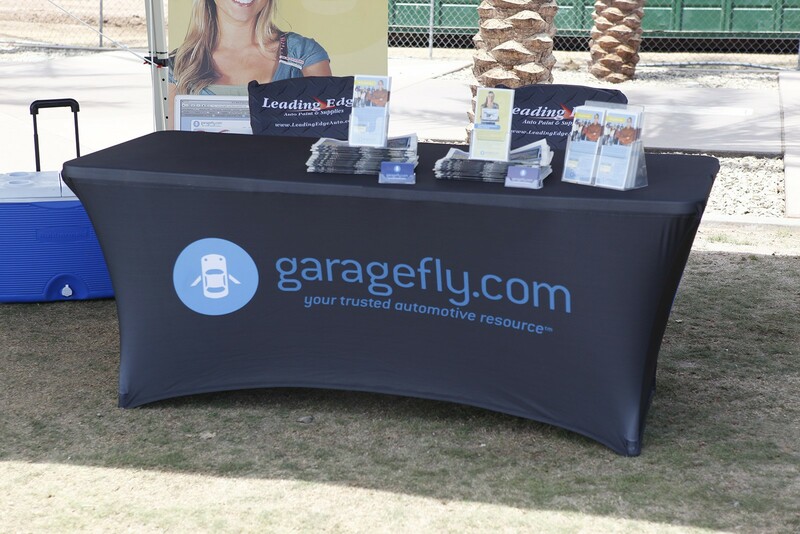 It is wrinkle resistant and has stretch in both directions. This heavy weight stretch fabric gives a decent amount of opacity and great definition on all colors. It is also fire rated to NFPA 701 small-scale safety standards. 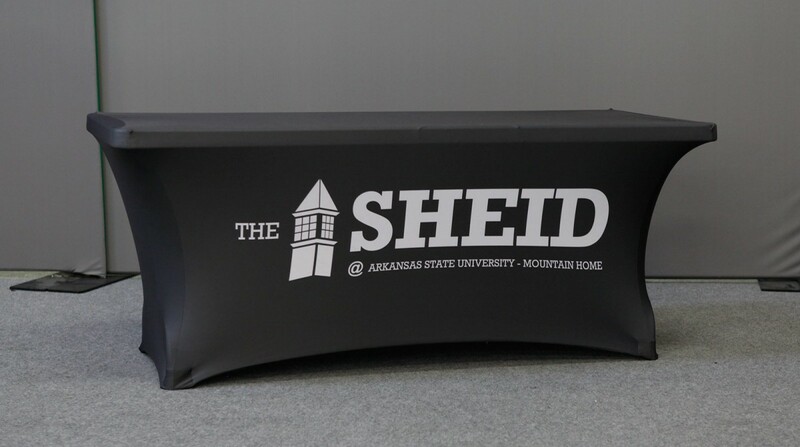 Tablecloths are printed from your custom artwork and can be almost any color or pattern you design including detailed photographs and logos. Neon colors are not possible with the Dye-Sublimation process. Sizes available to fit a standard 6ft or 8ft table. Fabric Care: Machine wash with cold water. Select the gentle cycle and use a mild detergent, such as Woolite™. Do not use bleach. Fabric is dryer safe at normal heat settings. 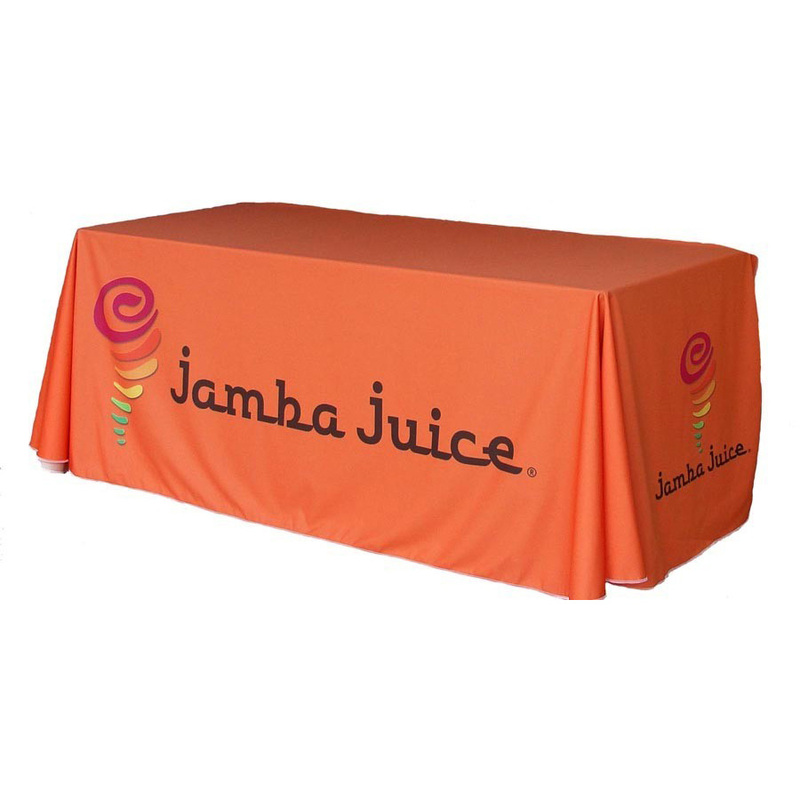 Production Time for Backless and Full Tablecloths is 4-5 business days. 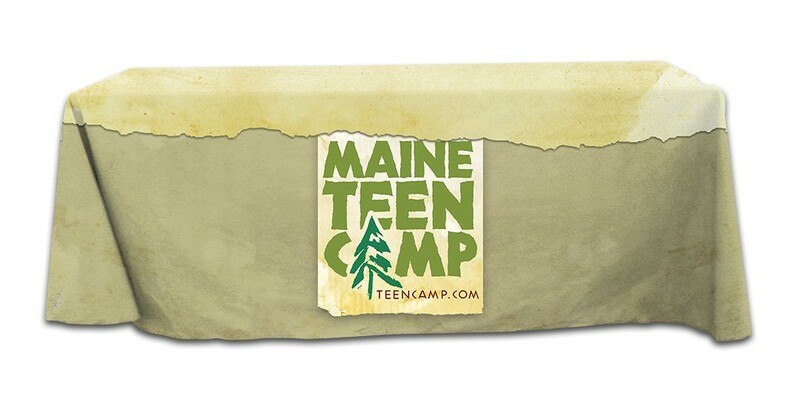 Production Time for Stretch Tablecloths are 7-10 business days.